Given the number of tech companies that call California home, it’s no surprise the state has been quick with forward-thinking legislation to support the development of self-driving vehicles. And almost four years to the day since driverless trials on public streets were first approved, a new bill has been signed off by Governor Jerry Brown that permits autonomous car tests without a human passenger overseeing proceedings. Rather than applying throughout the Golden State, the bill is specific to a pilot project headed by the Contra Costa Transportation Authority. At San Ramon’s Bishop Ranch business park, EasyMile’s 12-seater shuttles will ferry workers around the site, which will include travelling on some public roads. 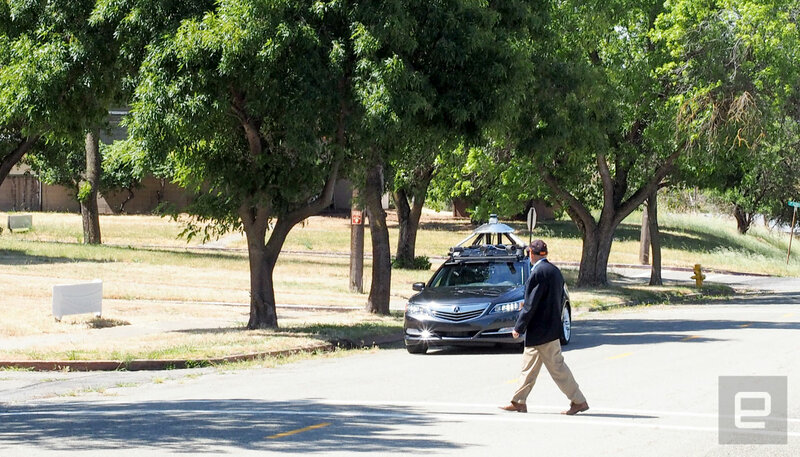 The approval also covers GoMentum Station: A ghost town within the Concord Naval Weapons Station where Honda has been testing its driverless car technologies. Recently, Uber-owned Otto also signed up to test self-driving trucks on the site. Google and Apple have also expressed interest in the naval base testbed, according to the transport authority. Apple’s autonomous plans are still the subject of much speculation, but in the immediate future, Google seems like a natural partner. Manual controls including a steering wheel and pedals are not required in test vehicles under the new bill (since there won’t be anyone on hand to use them), but for safety’s sake cars must not exceed 35MPH during trials. Google has been testing versions of its cute little driverless pods without any form of manual controls for some time now, as it’s of the opinion that humans are simply not a “reliable backup” to its self-driving smarts.